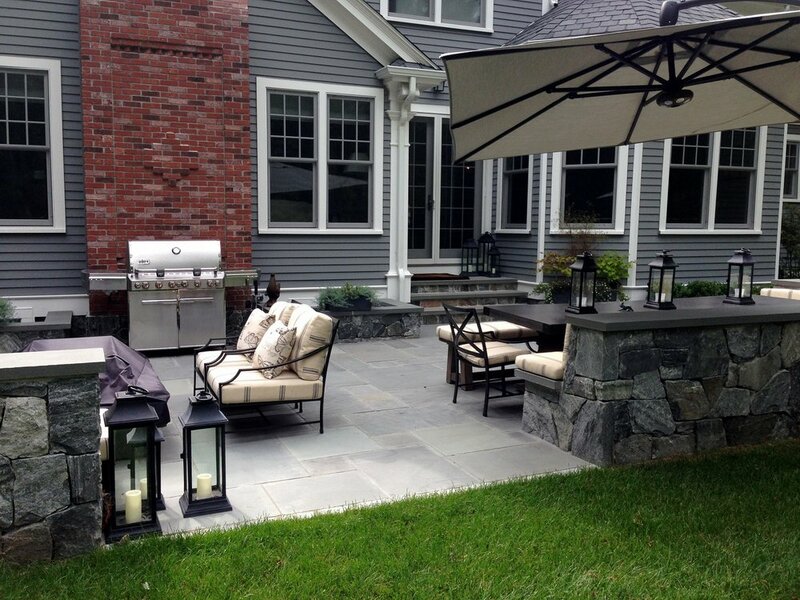 Outdoor Kitchens Landscape Design And Installation in Lincoln MA | Premier Pavers & Hardscape Co.
From a simple grill station to a professional gourmet kitchen, there are endless options for bringing people together to share a meal and good company in a beautiful outdoor setting. Create a multi-season outdoor retreat. Customize your kitchen to reflect your cooking and entertaining style. Bring indoor amenities to the great outdoors. Outdoor kitchens are as functional as they are beautiful. Incorporate built-in seating to accommodate large get-togethers. Add a pergola for protection from the sun. Choose from beautiful materials that integrate the kitchen into the landscape. Bring in custom features such as smokers, a wet bar, refrigeration, cabinetry, or lighting. And choose paver and low wall materials to define the space and give your outdoor kitchen a distinctive welcoming ambience. The ultimate outdoor kitchen is just a phone call away!